Endurance is “the capacity of something to last or to withstand wear and tear” which explains why appropriate fitness is crucial in the endurance horse. Ideally your horse should be fit enough to complete the course and still be in great shape when he crosses the finish line. How Long Before the Endurance Horse Is Fit? Training for a 50 mile endurance horse ride can require twelve months or longer. 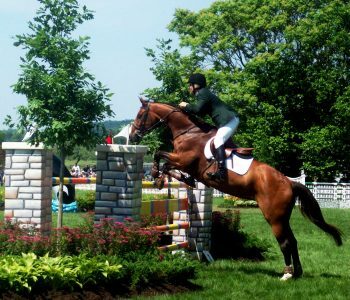 Getting ready to compete in a 100 plus mile endurance horse ride or FEI (international) event takes several years. Many endurance events host 25, 50 and 100 mile distance race opportunities on race day to choose from. Francois & Laura Seegers explain that not all parts of the horse’s anatomy become conditioned at the same rate. The heart and lungs need 3 months, muscles take between 3 and 6 months, tendons and ligaments require 6 to 12 months, and the hooves are used to their new work after 7 months. Bone needs between 1 to 3 years to become fully acclimatized! Knowing this encourages endurance riders to follow a slow and steady program. 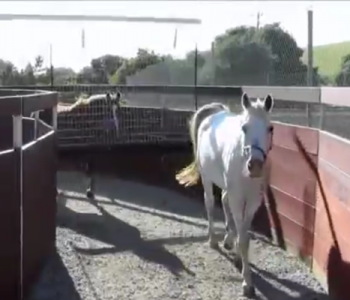 You need to determine your horse’s recovery rate after exercise. In order to pass vet checks his heart beats per minute (bpm) will need to be within designated parameters 30 minutes after the end of exercise. This is usually around 60 – 64 bpm. One easy way to measure the miles covered during training is to download the free app created by WoofWear especially for endurance horse riders. Called Track My Hack this valuable tool records distance traveled and the speed and time taken. You can store this information separately for individual horses. 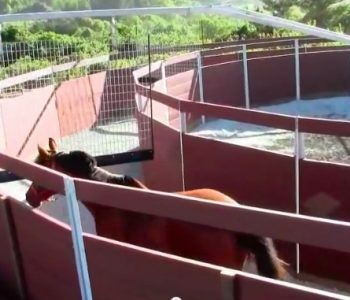 Those with access to a Horse Exerciser have a distinct advantage during endurance fitness training, as they can incorporate this time saving device into their horses’ routine throughout the program. Perseverance Stud begins their conditioning program with six weeks of walking for shod horses. They double all training durations for barefoot horses. 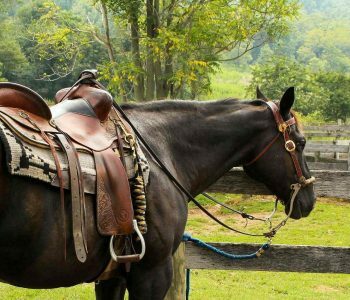 For 4 to 5 days a week the horse is walked at an active pace on the most varied terrain you can find, building up to 2 – 3 hours each session by the end of this period. The Australian Endurance Riders Association Inc. (AERA) suggest a goal of 3.0-3.75 mph walking on flat terrain during the first weeks. 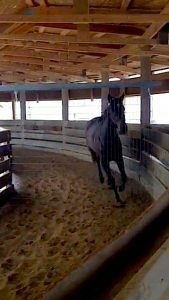 If the horse is already in work before his endurance training begins, one day a week should be spent trotting the horse on the lunge or on a horse exerciser designed to accommodate that gait. 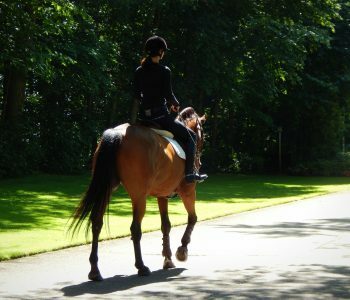 A once a week schooling day, which can include trot and canter, should also be incorporated into the program at this stage. Towards the end of the 6 weeks, the walk sessions can include short trotting distances. The rider should be cultivating calm confidence in the horse, building to 20 minutes of total trot during the walk sessions. The horse also needs to be worked on hills to build muscle. Once his condition allows, trot up hills but not downhill, as this puts considerable strain on the forelegs. 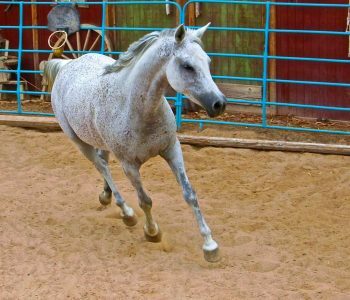 This phase builds up the horse’s stamina as he learns to trot long distances at a constant pace, in an established rhythm. 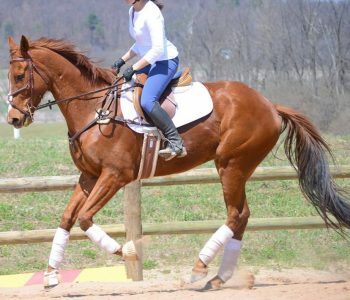 He also develops the energy-saving trot he will need for competition. The Steegers recommend 3 to 4 workouts a week, defining workouts as ‘hard work’ in which the horse exerts greater effort than normal. His pulse will be higher than usual 20 minutes after this type of work, indicating that he has been stressed. Begin with 15 to 20 minutes of walk to warm up, followed by alternating walk and trot.The horse should trot with his neck extended, his head low and his back rounded. This makes it easier for him to carry the rider, as well as creating increasing length and power in his strides. 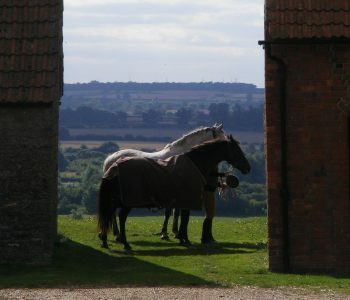 The AERA gives a goal for the end of week 8 of a 9 – 10 mph average speed when riding 50% walk to 50% trot.They also suggest entering the horse into an Introductory Ride at this point, with the aim of completing it at 10 mph. Test the horse’s fitness two weeks before by completing a 20 mile trial run to ensure he copes well with it. By week 12 the horse should be doing 2 hours of active, unbroken trot. Last, but far from least, comes one rest day a week.If the horse seems out of sorts, he’ll need more than 24 hours of rest. Horses become conditioned at different rates, and yours may need a little longer than the average. This phase gets the heart and lungs fit, and the horse now learns to canter rhythmically at a constant speed – while having fun! Over the next 14 days incorporate five canter sessions.Always begin work with walk warm-up before alternating trot and canter over short distances.Switching between these gaits will “clear lactic acid from the muscles” according to the Steegers. An excess of lactic acid causes the muscles to contract or ‘tie up,’ and in extreme cases the horse is unable to move. 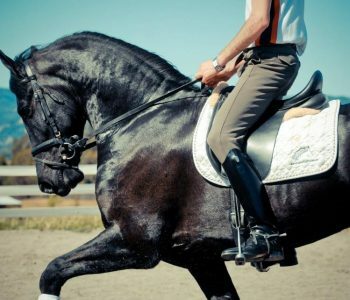 Build up the length of these rides to 1 hour of alternate trot and canter, and increase to a total of 2 hours.Now is the time for your horse to learn to canter in a controlled manner with other horses. He must be able to maintain a relaxed, constant and non-competitive speed regardless of the equines around him. Since his work is more demanding now, allow your horse 2 -4 recovery days and up to 3 rest days per week, paying close attention to his overall demeanor. A lack of energy or being ‘off’ will require more rest time. 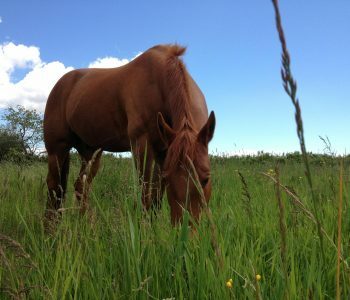 You are now one week away from your first endurance horse ride, so use this time to build energy reserves. The horse gets light work this week, and will need less concentrated feed. He should then be ready for his first 25 mile race. The pace should be relaxed, taking 5 to 6 hours to complete the 40 km, depending on the terrain. Crossing the finish line for the first time will give you a tremendous sense of achievement and make you keen to tackle your next endurance race. This handbook can be viewed online.